New Trend Alert: taking a shot of booze funneled through an emptied out shank bone, this is definitely an interesting twist on the classic college ice luge. 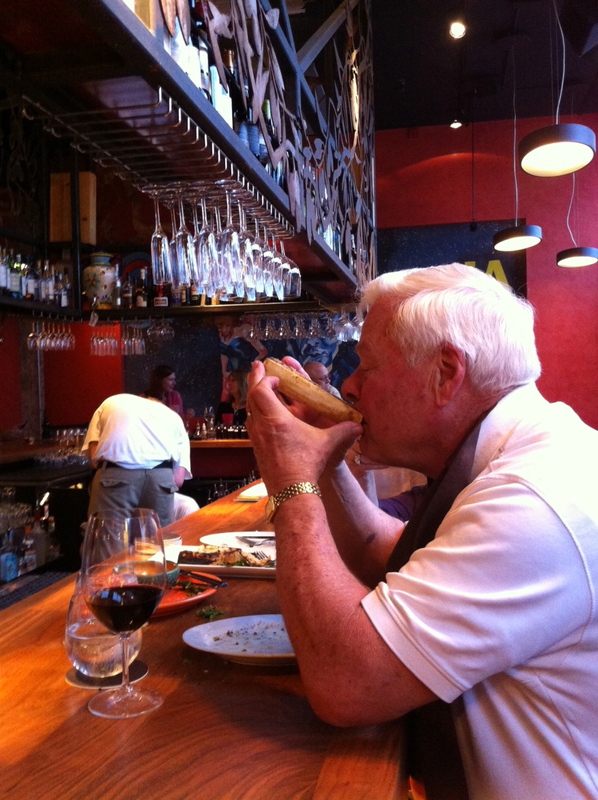 Customers eat marrow out of an animal bone, then use the bone as a channel for the bartenders to pour booze into their mouths. During culinary school I got the chance to try marrow and to my surprise I loved it. I suggest pairing marrow with a bourbon that is complex, heavy bodied, rich in color, and smooth. Some may find this trend gross, but personally I welcome and encourage it.